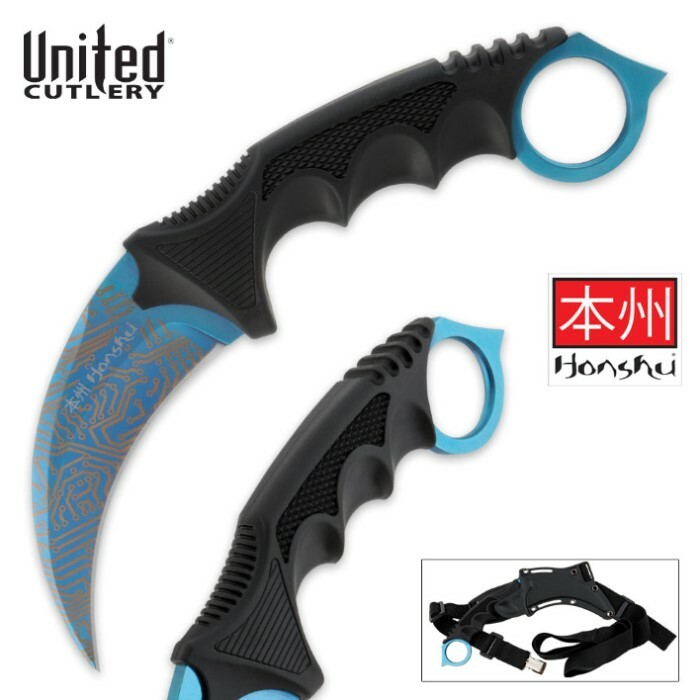 Honshu Blue Karambit Circuit Board | BUDK.com - Knives & Swords At The Lowest Prices! You asked for it and now we're giving it to you. We are presenting this limited edition karambit, which was chosen as the winning design by customer's votes. 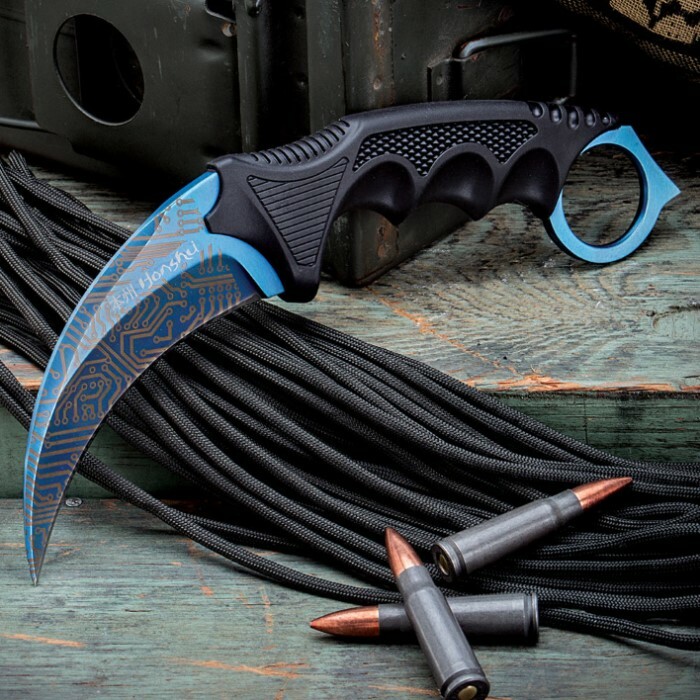 It's the same size, shape and weight as the original Honshu Blue Karambit knife but we have given it an incredible circuit board etching on the blade, at your request. The 4" blade features a fierce curve with a sharp edge and piercing point for deep penetration. The ergonomically contoured handle features three finger notches and a slip-free rubberized grip for supreme control as you wield this fierce blade. The open-hole pommel also features a spiked end with crushing capability. 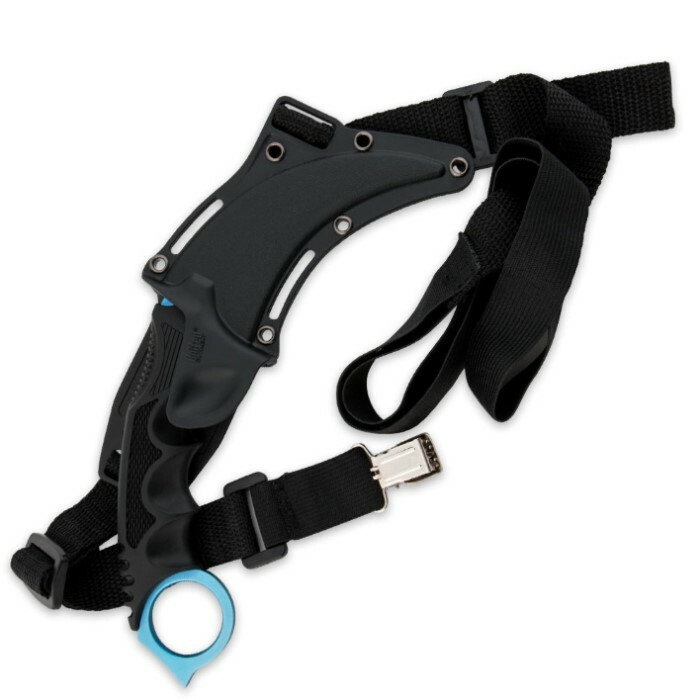 A shoulder harness is included, allowing you to carry this karambit in true ninja fashion. Only a limited number of these karambits will be made. Don't miss out!